My daughter has to read a lot of books in middle school. This school year, which has only been 5 months, she has read 10 Books! Last year, I read 5 books. I read a lot but lately, not a lot of books. I recently discovered Jon Acuff’s blog. He has a little challenge for us book challenged…read more books this year than you did last year. Read more than 5 books? Sure! I got this…right? 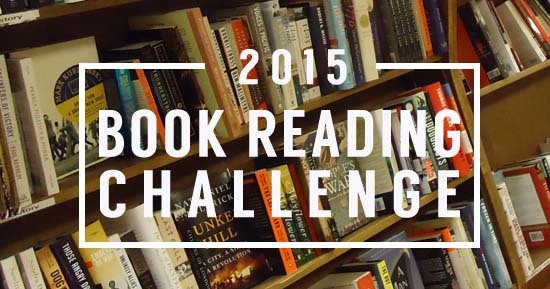 Your challenge, if you choose to accept it: head over to Jon’s blog to get tips to make your 2015 book challenge a success. Then, I suggest making yourself comfy…curl up on the sofa with a blanket and get started! One more thing. I never feel guilty for not finishing a book that I hate. If I can’t get into it, I put it down and move on to the next book. Which always makes me wonder why kids are forced to read books in school that they hate. Doesn’t seem to foster a love of reading. Reading shouldn’t be torture. I am taking the challenge. How about you? January’s books: The Red Tent by Anita Diamant, and I will be reading to Parker The Secret Garden by Frances Hodgson Burnett.